Remember a time before kids, when a trip to the beach involved no more thought or consideration than the two minutes it took you to grab a towel, a hat, a cozzie and some sunscreen? Well, those days are long gone, my friend. Once you have children to consider, the logistics involved in getting the clan onto the sand with everything you need is akin to planning a military operation. There is something about the promise of a lovely day at the beach that lulls parents the whole world over into thinking that it will actually be a relaxing day. But the truth is that if you’re not super-organised, a day at the beach is pretty much guaranteed to be anything but relaxing. The key to keeping everyone happy and safe (and mostly complaint-free) is to get everything completely sorted before you step out of the house. 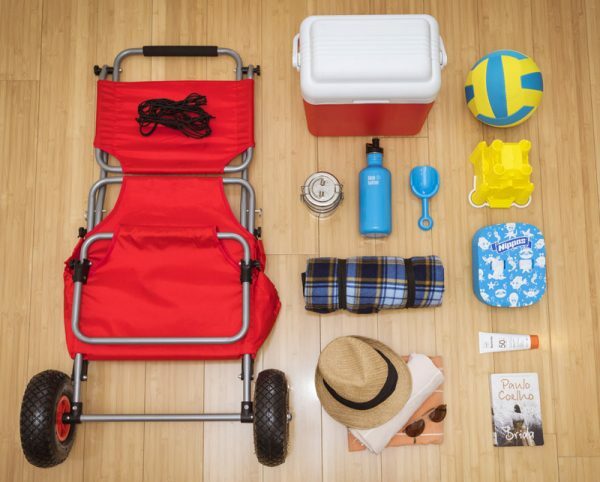 Because a successful day at the beach is all about the stuff you bring along – as much as the stuff you accidentally leave at home. The very best way to make sure that nothing is left behind is to have a beach day checklist at the ready so you can quickly pull everything together in one place and then pack it neatly into one beach-friendly vessel. Luckily, the Special Buys available today at ALDI, will have you covered for all your beach activities. How much can one beach caddy carry? “The caddy fits a lot in it, and is easy to pack – the elastic netting comes completely off, so no need to wedge everything in and easy to pack back in,” Laina says. 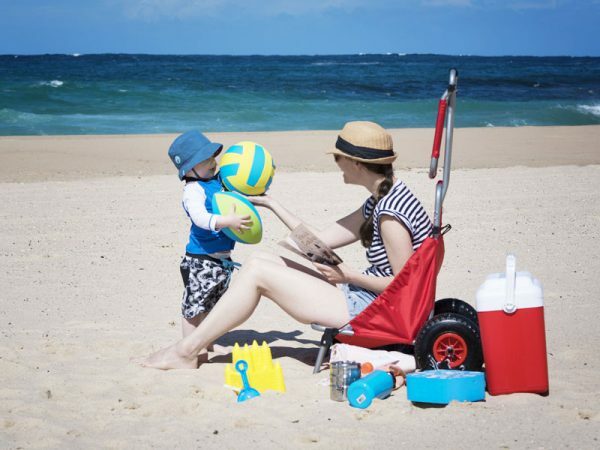 The ALDI Crane Beach Caddy $49.99 and neoprene ballsCrane Neoprene Ball Assortment $6.99 are part of ALDI’s Beach Accessories Special Buys, available in store from Wednesday 26th October.